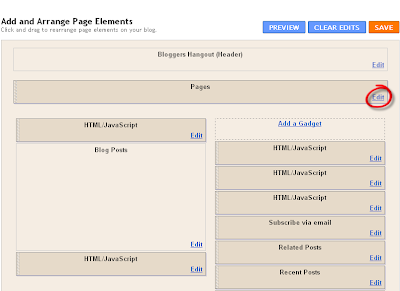 In this Blogger tutorial, we will look at how to disable static pages in blogger. How to Disable Static Pages in Blogger? Step 2: Choose the blog from blogger dashboard for which you want to disable static pages. 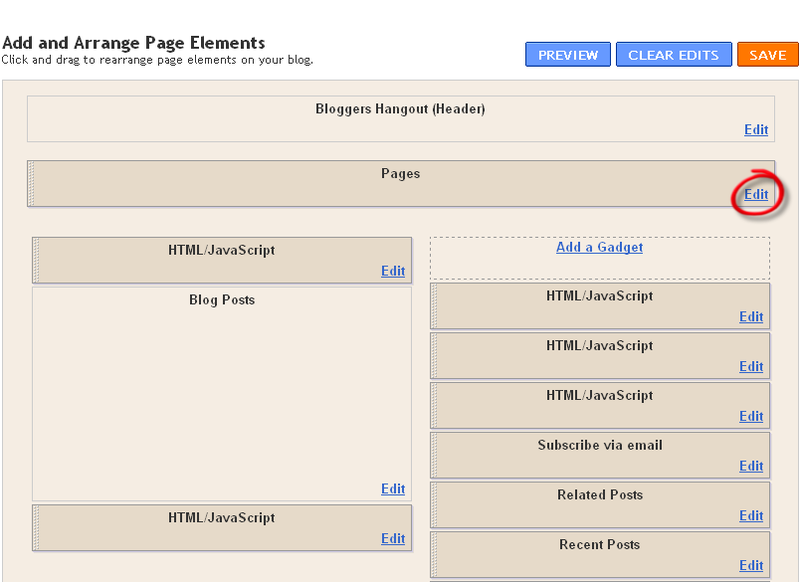 Step 3: Go to manage blogs section on your bloggers dashboard and click design tab as shown in screenshot. 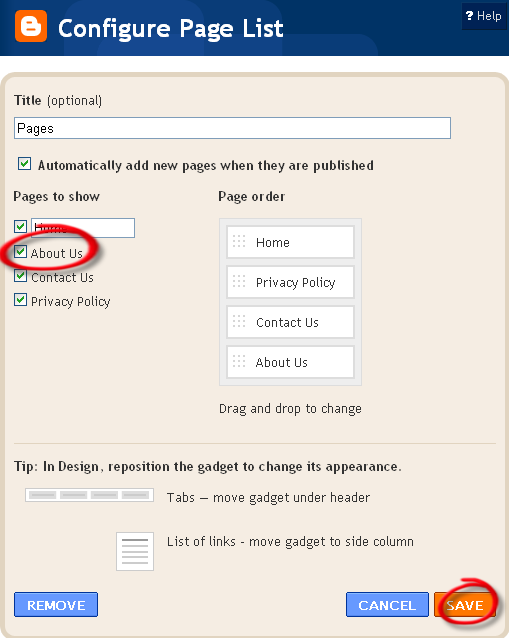 Step 4: Go to page elements under design and do as shown in screenshot. Step 5: Click edit link on pages or static pages gadget as shown in screenshot. 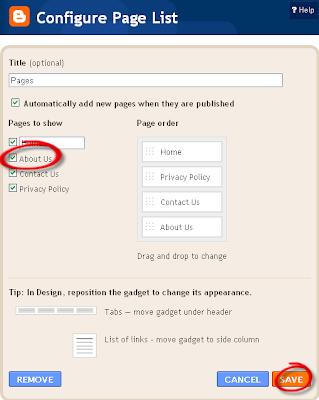 Step 6: By clicking edit link, static pages gadget appears on the desktop or blogger and uncheck the check box before desired static page and save as shown in screenshot. If you have any doubts about "How to Disable Static Pages in Blogger", comment below.